The Fox Theatre was designed by C. Howard Crane, one of the most distinguished movie palace architects in the early part of the 1900s. The theatre opened in 1929 as one of the crown jewels in the Fox empire. It was one of the biggest, most expensive, and most modern, being one of the first to be equipped for the latest innovation, the “Talkie”. The Fox was justifiably billed as “St. Louis’ largest and most magnificent temple of amusement”. Fox’s wife, Eve Leo, filled the theatre with paintings, sculptures, and furnishings from around the world. The walls were filled with plaster monkeys, elephants, lions, birds and fish. Lions with flashing eyes guard either side of the grand staircase in the lobby. Rajahs with scimitars watch over the lobby, and Indian Vishnus meditate on either side of the stage. From the middle of the dome in the auditorium hangs a phenomenal 2,000 pound chandelier, glittering with more than 2,200 pieces of colored glass. The theatre auditorium has a wonderful mighty Wurlitzer Theatre Pipe Organ, one of only five instruments built alike for five of the Fox theatres. Only this organ and the one at the Detroit Fox are still in their original homes. The console of this instrument is still on a working lift, allowing the console to be brought up from the depths of the building, filling the auditorium with light and magnificent sound. 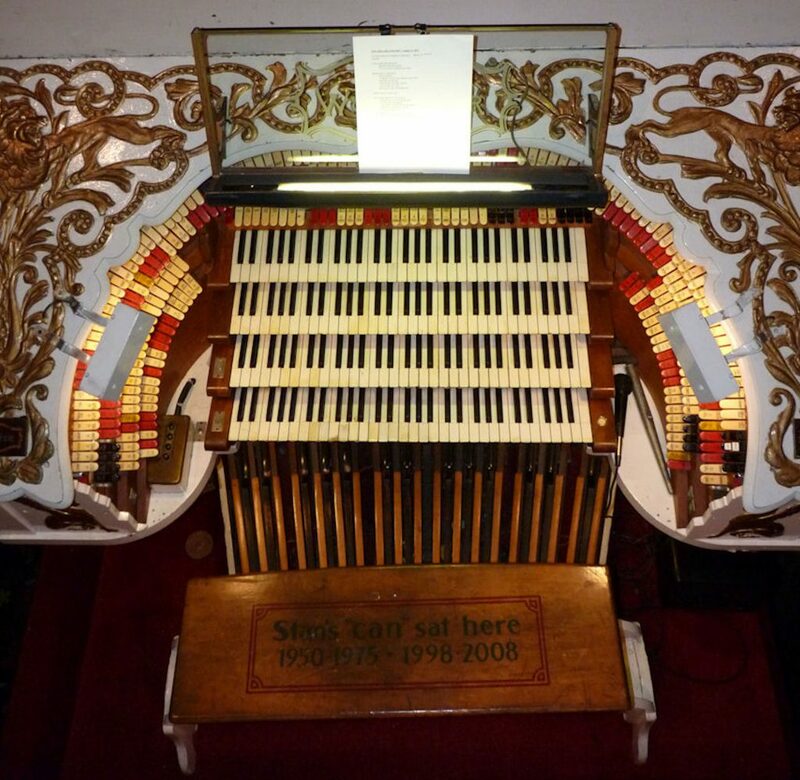 This organ has 4 manuals and 36 ranks of pipes. Although used rarely for public performances, it is kept in good working condition and is a wonderful asset to this magnificent theatre.